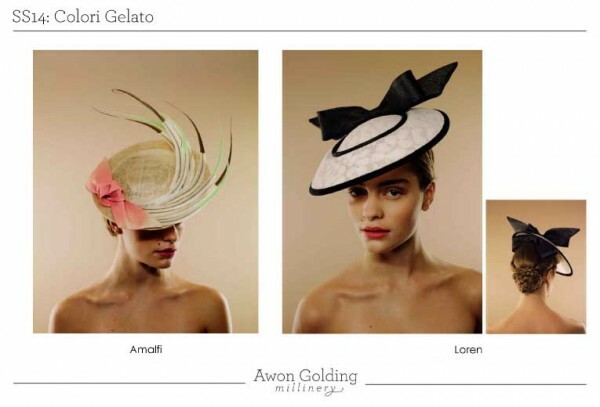 LONDON, May 13, 2014/ — For her second independent collection, Awon Golding continues her fascination with traditional millinery techniques mixed with eye-catching frivolity. Entitled “Colori Gelato” (literally ‘Ice Cream Colors’), the collection has that refreshingly sweet, cool and smooth, the same we feel when we eat ice cream. 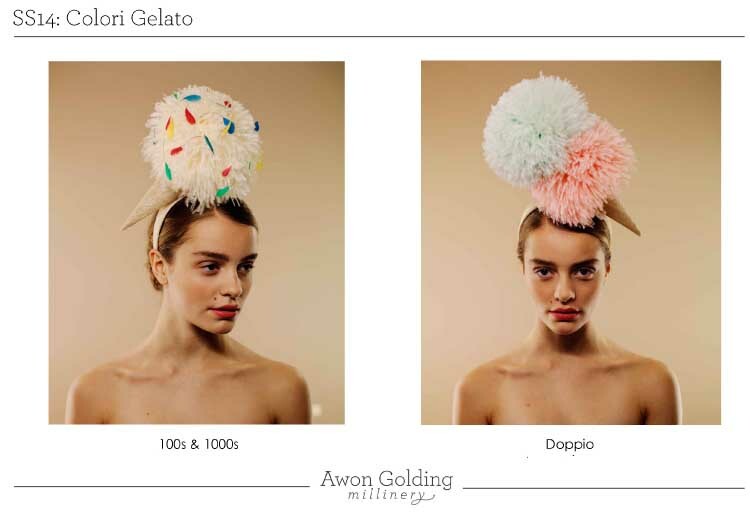 Utilising materials such as pinokpok, sinamay, ostrich feathers and silk flowers, Awon Golding created a collection that is simultaneously classic, yet modern. ‘Colori Gelato’ was inspired by a 1998 summer holiday spent backpacking on Italy’s Amalfi coast. This exposure to timeless Italian style mixed with playful pastels has been the inspiration to create a collection embodying seaside elegance and summer iconography. 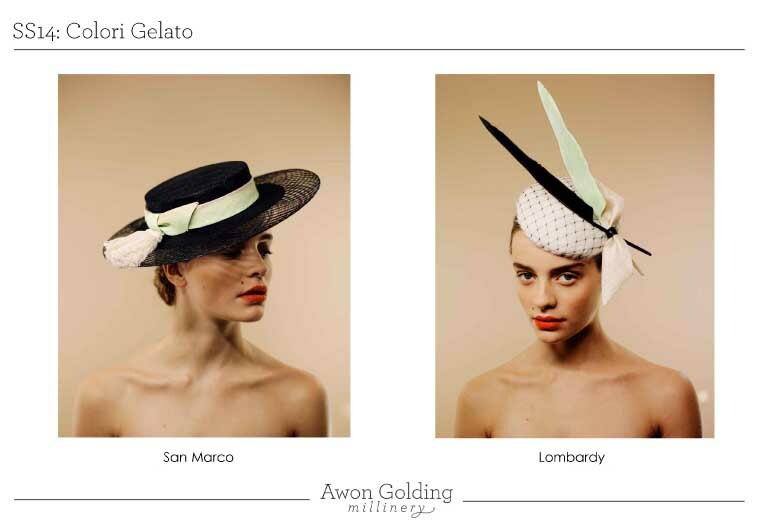 Soft gelato pastels fuse with bold graphic lines to give a modern, fresh take on feminine hats and headpieces, to devise a range that is current, unique and feminine. Awon Golding is a Hong Kong-born milliner who has spent an eclectic youth in India, Hong Kong and England. She draws on her multicultural heritage to inspire dynamic headpieces. Working with bold shapes to create dramatic silhouettes, each piece is meticulously handcrafted in her London studio, incorporating traditional materials and modern techniques. 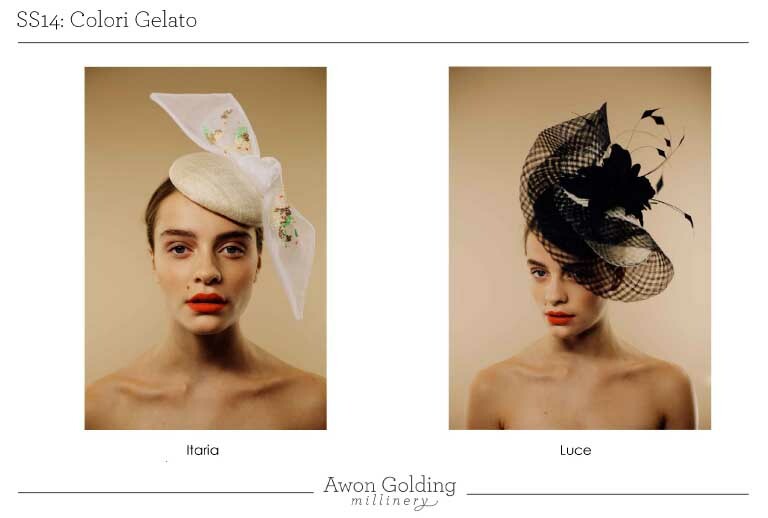 Awon Golding is currently stocked in Liberty London.